Washington(PTI): Prices for energy commodities like oil, natural gas and coal are expected to jump by a whopping 20 per cent this year, the World Bank has said in a report. The increase in energy prices is expected to have adverse impact on India, given that the country is heavily dependent on import of major energy commodities. 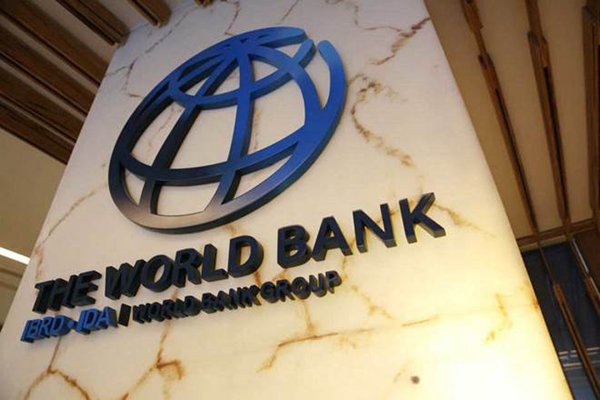 The latest World Bank forecast is a 16-percentage point upward revision from October’s outlook, the World Bank said in its April Commodity Markets Outlook released yesterday. Oil prices are forecast to average USD 65 a barrel over 2018, up from an average of USD 53 a barrel in 2017, on strong demand from consumers and restraint by oil producers, while metals prices are expected to rise nine per cent this year, also on a pickup in demand and supply constraints, the World Bank said. Agricultural commodities, including food commodities and raw materials, are anticipated to see a price rise of over two per cent this year on diminished planting prospects. Weather disruptions are expected to be minimal, the report said. “Accelerating global growth and rising demand are important factors behind broad-based price increases for most commodities and the forecast of higher commodities prices ahead,” said Shantayanan Devarajan, World Bank Senior Director for Development Economics and acting Chief Economist. “At the same time, policy actions currently under discussion add uncertainty to the outlook, he added. The World Bank said oil prices are expected to average USD 65 a barrel over 2019 as well. Although prices are projected to decline from April 2018 levels, they should be supported by continued production restraint by OPEC and non-OPEC producers and strong demand, the bank said. Oil prices have more than doubled since bottoming in early 2016, as the large overhang of inventories has been reduced significantly. said John Baffes, Senior Economist and lead author of the Commodity Markets Outlook. Strong oil demand and greater compliance by the OPEC and non-OPEC producers with their agreed output pledges helped tip the market into deficit, he added. According to the World Bank, in the first quarter of 2018, world oil consumption is estimated to have risen 1.6 per cent. Consumption growth accelerated to 1.4 per cent in OECD members with gains primarily in North America, as cold weather boosted heating oil demand. Consumption growth in non-OECD countries in the first quarter rose 1.8 per cent (year over year), led by China, although its consumption growth slowed amid environmentally motivated production cuts and the late New Year holiday season. India’s consumption, up 11 per cent, also rose strongly, it said. Coal prices rose four per cent in the first quarter (quarter over quarter), following a surge of 34 per cent in 2017, mainly due to strong consumption in China spurred by cold weather, low inventories and production constraints, the report said. While several European countries plan to end coal consumption over the next decade, India is seeking to reach peak coal consumption over the same period, it noted. Coal prices are expected to average USD 85/mt in 2018, down slightly from 2017, as inventories are replenished and consumption is curtailed. given that the country is heavily dependent on import of major energy commodities.